Are you familiar with learning styles? I first heard of them before my son was even a glimmer in our eyes. I find learning very interesting and am often reading about how we learn and different ways that people learn best. I was somewhat attracted to the idea of learning styles simply because I see how differently I learn from other people I know. When my son was born I sought out additional information and watched him as he was learning. Being able to shift things a bit to better meet his style made big difference in how quickly he would pick something up or how deeply he would learn it. You can use learning styles with play as well. Combining Play and a boy’s learning style can help you provide great opportunities for growth. 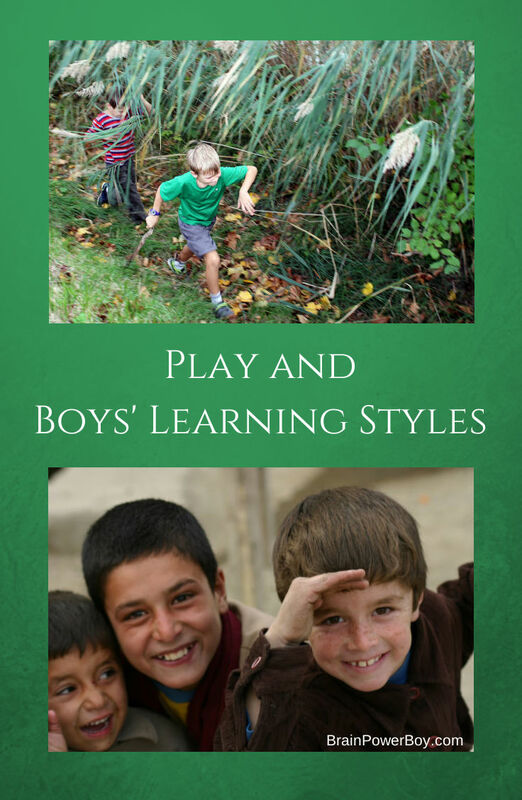 Play and boys’ learning styles go hand in hand. Play is so important to learning. Knowing a boy’s learning style will help you to make sure your boy has opportunities to play in a way that will benefit him. Boys need time to play and need to be able to explore different ways of playing on a regular basis. Don’t let a too busy schedule take away this important part of learning and childhood. Play happens naturally; it is instinctual, innate and free. Play does not need to be directed by adults, in fact, for real solid learning to take place play should not be directed by adults. You can offer options that fit with your boy’s style of learning and still allow his play to flow naturally. If you are unfamiliar with learning styles you can see earlier articles in the Boys’ Learning Styles section of this site. This play needs to be hands-on and should allow boys to move their bodies. Their play may look more like scaling trees and doing handstands or building with LEGO or wood. Give them a place to play and plenty of manipulatives to play with and then stand back and let them go. Their play is very social. These boys need to spend time playing with others. They may lead a group in an imaginative game or just enjoy playing along with others—always with others. Provide a social outlet for free play and he will be happy. No special planning is needed. Boys who have this learning style really need time to play alone. It is how they re-charge their energy. Feed their interests and leave them plenty of time to do what they enjoy. Give him space and a place of his own to play for as long as you can at a time. Who knows what wonderful ideas he will come up with when he has time to devote to daydreaming, thinking and play. This learning style is all about words, speech and writing. Find ways to allow your boy to fit this into his free play. Likely this will happen naturally but try to provide plenty of opportunities for him to use his skills. Let him act out his stories or tell them to you. Give him pencils, printing materials, markers etc. and plenty of paper. Let him play with words and sounds—he will love it. Playing around with music or musical instruments can be fun for boys with this learning style as can just listening to music while playing. Rhythm and rhyming are also important to them and these can be through music or language or even in the way play happens for them (the rhythm of their day.) Provide opportunities to explore music in many ways and he will find a way to turn that into play and be learning at the same time. Open the door and let him out 🙂 Boys who are naturalistic have a lovely playground in nature. 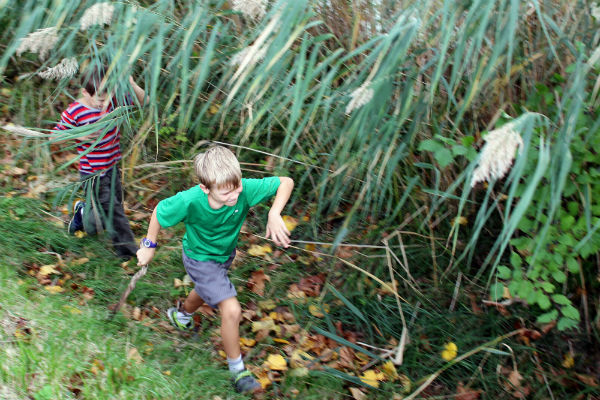 No need for giving directions for play–just let them explore and find out what they enjoy. I have seen naturalistic boys playing for many, many hours with rocks, sticks and leaves and oh the stories they came up with and the things they did with such simple materials—wonderful! This play is all about seeing colors, images, pictures and more. 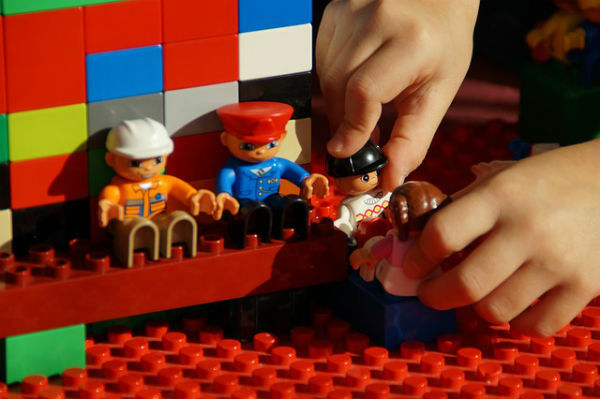 Let them loose with paper, LEGO, or a box of do-dads and watch what they create. Give them plenty of opportunities to see new things, and that means bringing things of interest into their lives in a visual way or taking them new places and letting them play there. What is Play to Your Boys? Be respectful of what is fun and feels like play to him. Some boys don’t like to play with LEGO—it’s true! They do, however, like to find things to view through their microscope, or build a birdhouse or take photographs. Some boys prefer to play alone. Play looks different for each boy. Play can be drawing or building, making up a game, running around, going down slides, or inventing a whole new world. We are all different and should have to opportunity to explore many different passions in ways that are meaningful to us. Let boys learn on their own by playing in ways that make sense to them and that they enjoy. Finding out more about how your boy learns best allows you to provide deeper, richer experiences for him. Some boys lean heavily toward one learning style while others blend several learning styles together. 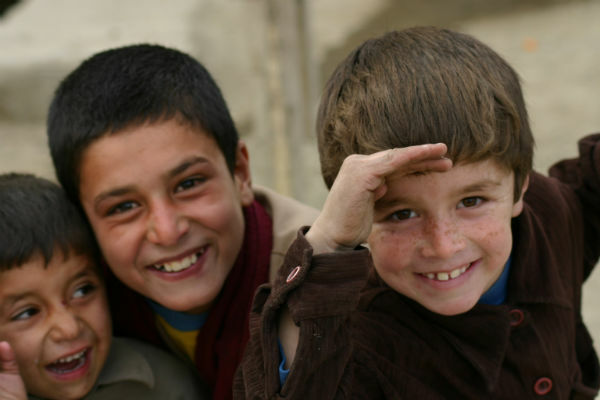 Play is different for each boy and is very personal. Learning is also personal. In play learning happens. Focus on what your boy enjoys and provide plenty of opportunities for him to experience the world in that way. Using play and boys’ learning styles to find new and interesting ways for him to play adds a lot to a child’s growth. Try different things and let your boys know that you value play—when they are little and as they grow. We would love to hear about your play experiences—leave a comment below. If you know someone else who might enjoy this article—please use the sharing buttons below. Both my boys have different learning styles which can make things a bit harder to teach them both things at the same time. But its great to share this because it is so helpful if you know your child’s learning style. Yes Robin you are right about different learning styles in a family making it harder. My son and I have different styles and I have to keep that in mind. I think there are a lot of boys who struggle in school because they have a different style of learning. Thanks for sharing. Thanks for sharing this. I’ve never considered differentiating between boys and girls when speaking of learning styles, but it really makes sense the way you talk about it. Really interesting piece. Thanks for stopping by and for your nice comment. I know boys 🙂 so I just take what I have learned about them over the years and try to apply it to a variety of things. I really think that learning styles is an interesting topic to study and I have found that many times knowing about it works very well for boys.